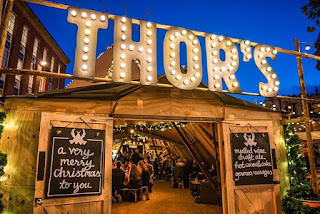 This winter Thor's Tipi Bar will be open from Mondays to Saturdays at Regent's Place in NW1, just two minutes from Warren Street tube station. Full of food from the grill, hot cocktails and mulled cider, it'll be a fun place to drink and wind down. "As the colder months approach, Regent’s Place, the busy work and social hub located between King’s Cross and Paddington, will transport visitors to the Nordics with a host of exciting experiences throughout the festive season and into the New Year. Highlights of the winter season will include THOR’S, a spectacular Viking inspired tipi housing a pop up bar, perfect for the Christmas party season, and Hygge Hideaway, a mood-boosting, cosy retreat in February. Nestled in the heart of the city underneath a dramatic tipi in Regent’s Place Plaza, THOR’S, a Nordic winter wonderland, will be arriving on 6th November until Christmas. 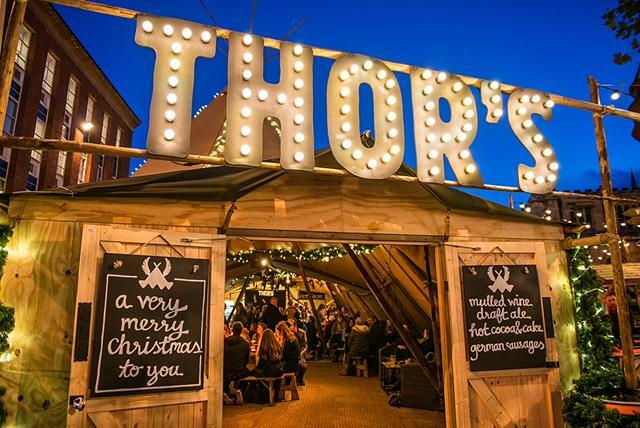 Channelling a Viking feel, THOR’S will be serving up an array of tipples to get you in the festive spirit. Guests can sip on Scandi glühwein, a take on mulled wine, or warm up with a cup of hot cider. Those with a sweet tooth must try the ‘spiked’ hot chocolate, a naughty concoction with a choice of Baileys, amaretto, cherry brandy, crème de menthe or orange curacao. Guests can also feast on hot sausages with Scandinavian toppings served straight from the grill. Inside, a cosy log fire and twinkling lights will complete the scene whilst a beautiful winter garden will create a picturesque outside area. THOR’S will be open Monday to Saturday until 22nd December."